Hadden Sayers has become a Murphy Theatre favorite, whether solo, with his band or as part of Phil Dirt & the Dozers. 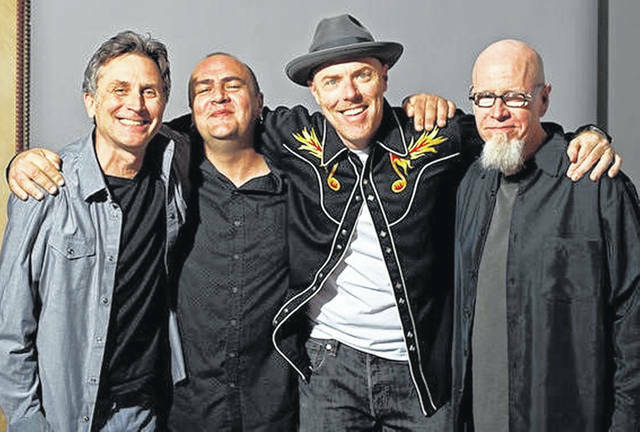 WILMINGTON — The Hadden Sayers Blues Band will return to the Murphy Theatre for a special full-band show at 7:30 p.m. Saturday, April 20. The Blues Foundation Acoustic Artist-of-the-Year nominee was born in Nacogdoches and raised on a steady diet of Texas roots and blues music. Millions of miles of touring the world and nine albums in, Sayers’ rise has been anything but meteoric — it’s been a consistent and steady ascent to a level of expertise that few achieve. The Hadden Sayers Band loves rockin’ the Murphy Theatre and can’t wait to return to share a night here with their fans and friends. Get your advance tickets and reserve your seat now; call the Murphy Theatre at 937-382-3643, visit www.themurphytheatre.org or go to the Murphy Theatre’s Facebook page.